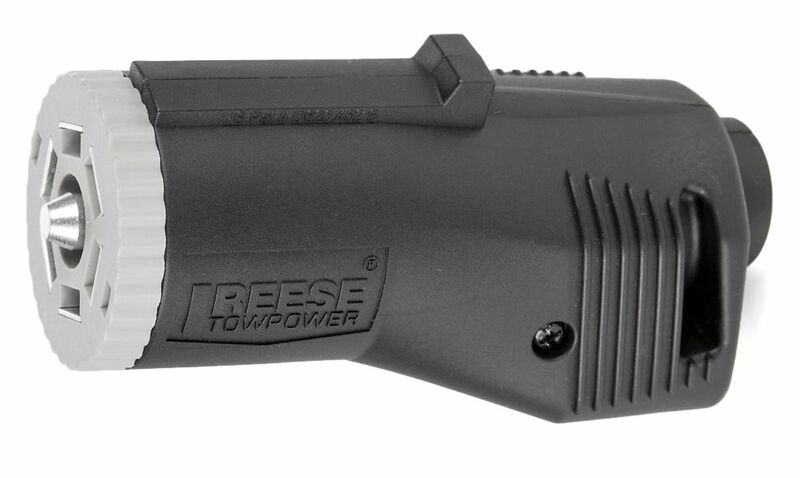 REESE Towpower<sup></sup> professional 7-way round blade connectors are designed for ease of installation. It features enhanced materials over standard self-wired connectors for longer life. These connectors are stylish and ergonomically designed. 1 inch x15 ft. 1300lb. Soft Grip Ratchet Strap with Cap Locks. New Cap Locks help keep the hook on the anchor point during the installation process, making it much easier to operate! Great tie down for a variety of uses! 7-Way Blade Connector, Trailer End REESE Towpower<sup></sup> professional 7-way round blade connectors are designed for ease of installation. It features enhanced materials over standard self-wired connectors for longer life. These connectors are stylish and ergonomically designed.